Florence + the Machine’s music is known for knockout vocals and powerful drumbeats that transcends to any audience. 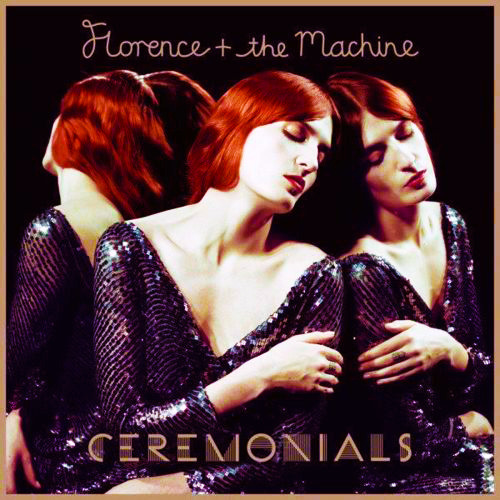 Their latest album Ceremonials, released on Nov. 1, 2011, although catchy, lacks cohesiveness and at times sounds like a overwhelming mess of ambiguous instruments, underneath Florence Welch’s overpowering howl. “Only If For Night” begins the album with promising harp cascades and bright piano chords that sparkle and hum in the listener’s ear. This lasts only for a second until Welch’s voice and heavy drums bombard the sound and ad, a harsh quality to what could have been innovative and pleasant. However disconcerting the beginning of the album may have been, at least those songs were cohesive. Halfway through, the album takes a turn for the creepy and the strange. “Seven Devils” features piano sequences that sound like background for a horror movie, whereas “Heartlines” sounds more like tribal music. Maybe they thought that since both feature Welch’s screeching, they must work together. The album finishes with “Leave My Body,” a song that, like all the others, begins promising with beautiful acoustic guitar, but then explodes into a sound too big to comprehend. However, I must say, one thing that the group did not miss the mark on is lyrics. With lines such as “It’s hard to dance with a devil on your back, so shake him off” it’s a shame that Welch focuses more on vocal volume, than diction.